Data stored to internal hard drive of Windows PC is not always stored together, but it may be stored to different clusters. In other words, when you write a file to internal hard drive on your computer, a part of the file might be stored at the begging of the hard drive, while the rest part of the file might be stored at the end of the hard drive. Along with more and more files being written to the hard drive, it produces lots of fragments. Too many fragments on a hard drive might lead your computer to run slowly because system spends time retrieving the fragments from the whole hard drive. This article shares free methods to defragment hard drive on Windows computer. Step1. Open My Computer (or This PC on Windows 10). Right click the partition you want to defragment and select Properties. Step2. Click Tools tab and then click Defragment Now button. Step3. 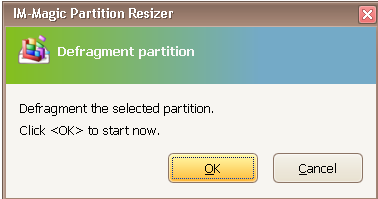 Click Analyze button to analyze the selected partition to show whether you need to defragment it or not. Step4. Click Defragmentto defrag the selected partition. 1. Do not write data to the partition during defragmenting. 2. Do not frequently defrag hard disk partition. If it says there is no need to perform defragment after analyzing, you had better not defrag the selected partition. For different versions of Windows OS, it has some different methods to launch Windows Defrag tool to defrag hard drive. Step2. Select the drive you want to defrag and click Analyze button to see if the partition needs to be defragmented. Step3. Select the drive you want to defrag and select Analyze disk to analyze to see if it needs to be defragmented. Step4. Once the analysis is completed, click Defragment disk to defrag the disk. In addition to Windows defrag utility, you can also run Command Line to defragment hard drive on your computer. Step2. Type defrag.exe x: /a to analyze if the partition needs to be defragmented (x refers to the drive letter of the partition you want to defrag, e.g. defrag c:/a). Step3. Choose an option for partition defragmenting. Step1. Right click the partition you want to defragment and select "Defragment" option. Step2. Confirm to defrag the selected partition.